And Toyouke wraps it all up. ETA: Suzq is better late than never! Thank you recappers -we'll see you again next week! 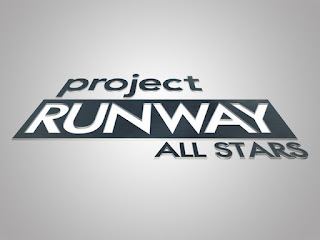 Project Runway Season 10 designer, Elena Slivnyak talks about her experience on the show. BPR: Even though you are out of the competition you still got to show a collection at Fashion Week. Congratulations. ES: Thank you, it was so much fun. 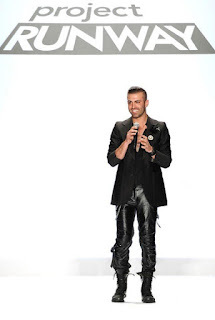 BPR: I loved your collection. Is this the same collection you would have made if you were a finalist? ES: Probably so. I think I took more risks than I would have if I was being judged. Maybe I would have toned it down a little bit, but I am really proud of it and I really love what I did. BPR: You seem to have a lot of fun with make-up. Did you visit the L'Oreal professionals during the show, or did you do it yourself? ES: I did it myself. BPR: And for your finale show, you went with some crazy colored lips. ES: Yes, I wanted my girls to really stand out. I am an avant-garde designer and I like to go with things that are unexpected. Click here to see Elena's Finale collection. Click here for Elena's website. The boy's outfit designed by Sonjia Williams and the girl's outfit by Christopher Palu are now available at Babies"R"Us® stores and at BabiesRus.com. You've seen the designs on the runway and now it's your turn to be the judges. This week you are Heidi Klum, Nina Garcia, Michael Kors and Hillary Duff. How adorable were those little munchkins? There was some serious baby power going on tonight on Project Runway and not everyone was up to the challenge. What did you think? Post your reactions to Episode 11 here. Hey there party people! Are you ready? Time for another snarkfest with all of your favorite Project Runway fans. Just click the comment link and come on in! Sneak Peek Video of Tonight's Episode, "It's Fashion, Baby"
More details about All Stars Season 2 this morning. The new host is Carolyn Murphy. 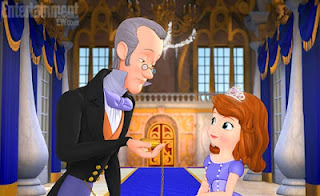 Isaac Mizrahi, Georgina Chapman and Joanna Coles remain in their season 1 roles. Guest judges include "Katie Holmes, Kylie Minogue, Stacy Keibler, Liv Tyler and Gretchen Mol as well as respected fashion luminaries such as Diane von Furstenberg, Jason Wu, Margherita Missoni, Charlotte Ronson, Rafe Totengco and Elie Tahari plus fashion blogging sensation Tavi Gevinson and cameo appearances by Karl Lagerfeld and the House of Valentino." The winner will receive, "the chance to create a custom-branded capsule collection for Nine West, and will be awarded a cash prize of $150,000, a sewing and embroidery studio provided by Brother Sewing and Embroidery, an all-expenses paid trip around the world to attend fashion weeks in cities such as Paris, London, Milan and Tokyo courtesy of Laura Mercier and a technology suite/office space from HP and Intel to bring the designer’s creativity to life and run his or her business. The winner will also receive a fashion spread in Marie Claire magazine and a position with the publication as Contributing Editor for one year." Our polls for Episode 10 are closed. You disagreed with the judges and felt that Dmitry Sholokhov deserved the win. Click here to see the results. You agreed with the judges and felt that Ven should have been the 'auf.' Click here to see the results. The Season 2 All-Star cast has been announced on USAToday, so I guess it's official - we don't have to wait until tomorrow! 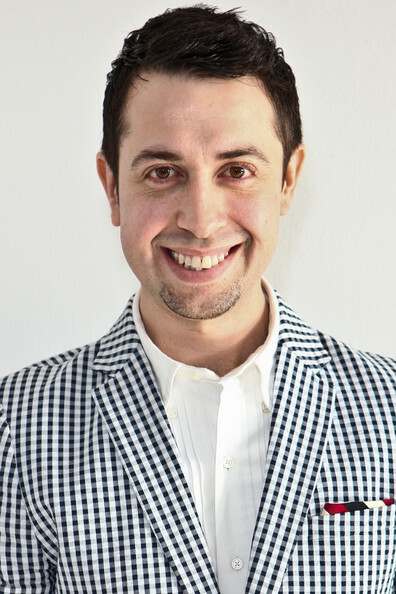 Project Runway Season 9 finalist, Josh McKinley, has been added to the roster of designers showing at FashionXT. Joshua joins Josh Christensen and Seth Aaron Henderson for the Friday night event. Click here to see Josh McKinley's Season 9 Finale collection. Although several of the colors and sizes are sold out, the collection is on sale! Any of these will be great for the holidays. Please let us know if you have ordered from the collection, we'd love to know what you think. Update: We have a review! Did you agree with the judges this week? There is still time to vote in our episode 10 poll. Click here to let us know who should have won and who should have been eliminated. New mom, Hillary Duff, is the judge for this week's challenge on Project Runway. 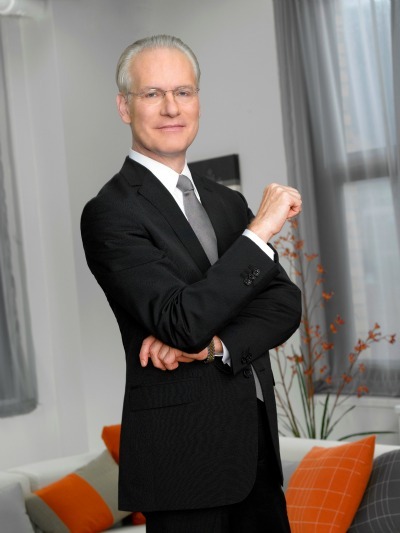 Hear fashion guru and Project Runway mentor Tim Gunn discuss the fascinating histories of common clothing items and accessories and recount contributions made by revolutionary designers. 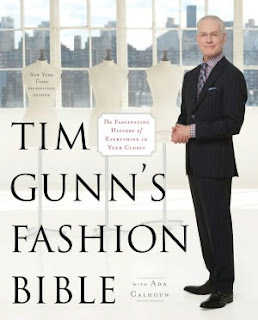 NY1's Budd Mishkin will interview Gunn about how he has poured his undeniably impressive fashion knowledge into his category-defying tome, Tim Gunn’s Fashion Bible: The Fascinating History of Everything in Your Closet. A book signing will follow the event. 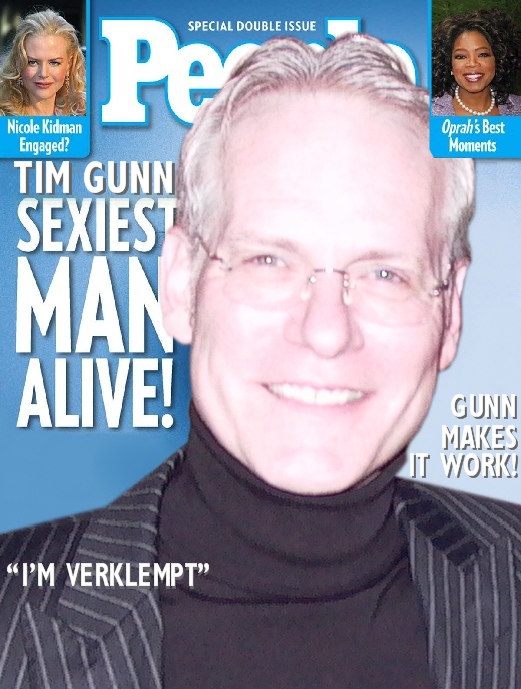 Don't miss Tim Gunn at the 92nd Street Y on Monday, October 1, at 8pm. Project Runway Supermodel, Amanda Fields, returns with her "take" on the Season 10 models - thanks Amanda! Could Heidi be ANY cuter in her green Rockettes costume? I loved her high kicks! "Take a moment, let them see you, don't run away." - Dmitry to his model. This is wonderful advice. No matter what the designer gives me to wear, I always want to show it well and get my photo taken as much as possible so that the photographers have an opportunity to get great shots of my dress to share with the world. This is the type of episode I've been waiting for all season. We get to see the designers telling their models how they would like them to walk. I appreciate this look inside of what we do, because the decision to smile or not smile, walk fast or slow, pose half way back, any of these things are the wishes of the designer which then, in a traditional fashion show, get translated to the producer who then communicates this to the models. It's important to maintain a polished walk no matter what the instruction may be, but mold your walk to fit the show. Dmitry's model added a little smile and some hip movement that really showcased the fringe on her dress. She managed to make it look like she was in the Rockettes without overdoing it. Very classy! Project Runway Season 4 champion, the incredible Christian Siriano, created custom gowns for these talented actresses to wear on the red carpet at last night's Emmy Award presentation. Christina Hendricks in a custom Siriano gown at the Emmys last night. Anna Chlumsky in a custom Siriano gown at the Emmys last night. As part of the UCA "Distinguished Lecture Series," Tim Gunn will be speaking at the University of Central Arkansas Reynolds Performance Hall tonight at 7:30. 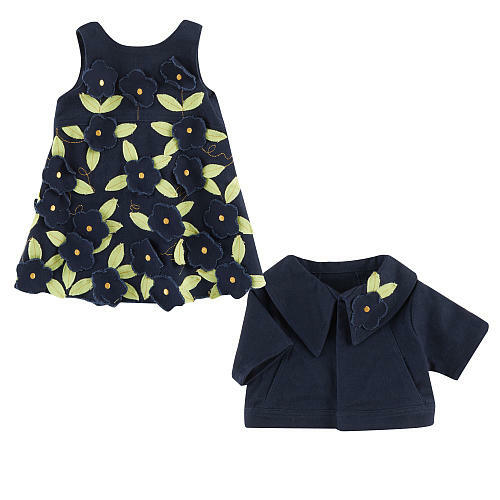 Ven made up Kenley's dress in a rose print reminiscent of her grandmother. Heidi Klum takes her turn on the red carpet at the 64th Annual Primetime Emmy Awards in a Alexander Vauthier gown. A little bit revealing even for Heidi, no? And Toyouke cleans out the scrap bin. Update: Project Rubino offers another great recap. Thank you again recappers - see you next week! You've seen the designs on the runway and now it's your turn to be the judges. This week you are Heidi Klum, Nina Garcia, Michael Kors and Debra Messing. Debra Messing returned again to the Project Runway guest judging chair for this week's episode. In the end, Heidi had to "kick" someone off. What did you think about the designs and results? Post your reactions to Episode 10 here. It's Radio City Music Hall! Certainly we can find space to party in here, right? Just be careful of all those legs flying around and you should be just fine. Welcome on and all to the BPR party room. In the comments section below, we're providing running commentary and snark as we watch Episode 10 "I Get a Kick Out of Fashion" together. Come on in! Project Runway fans are in for a treat in Portland Oregon. 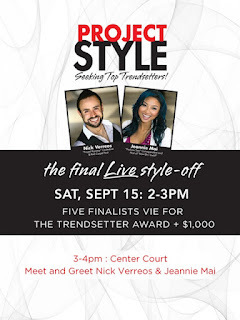 October 10 - 13th as FASHIONxt features collections from Seth Aaron Henderson, Viktor Luna, Becky Ross, Josh Christensen, Gordana Gehlhausen and Michael Costello. Seth Aaron Henderson and Viktor Luna have collaborated on a collection for the opening night on October 10th. This collaboration is made possible by the Intel Personal Cloud. Afterward, Viktor will present his Spring 2013 Collection. On Thursday, October 11th, Season 9 designer, Becky Ross will present her Spring 2013 Collection. On Friday, October 12, Josh Christensen will present his Spring collection and Seth Aaron will present a collection including menswear and womenswear. 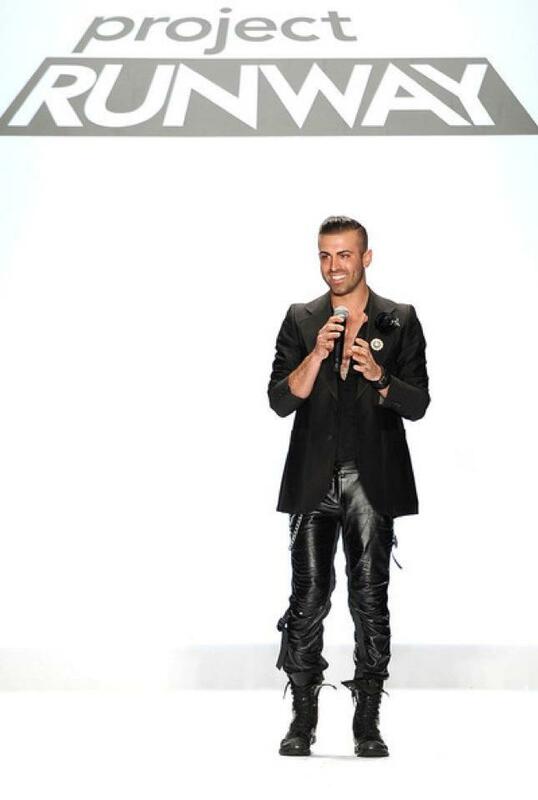 On Saturday, October 13th, Gordana Gehlhausen and Michael Costello will show their latest designs. There are many many additional featured designers - see the full schedule here. Please stay tuned to BPR for updates to the roster. Everyone is welcome at the event, tickets can be purchased here. YAY!!! Click here for the FASHIONxt Facebook page. Click here for the FASHIONxt Website. Tbone and suzq will be hosting our weekly live play-by-play/party room beginning at 8:45 p.m. All are welcome as we snark our way through Episode 10 "I Get a Kick Out of Fashion"
After the show, share you thoughts with Project Runway fans across the land in our reactions thread. Who will be the next auf? Join us tonight on BPR! Our polls for Episode 9 are closed. You agreed with the judges and felt that Dmitry Sholokhov deserved the win. Click here to see the results. You disagreed with the judges and felt that Ven should have been out. Click here to see the results. The episode 9 designs are up for auction. Right now Dmitry's design has the highest bid. Click here to see all of the garments and to place your bid. 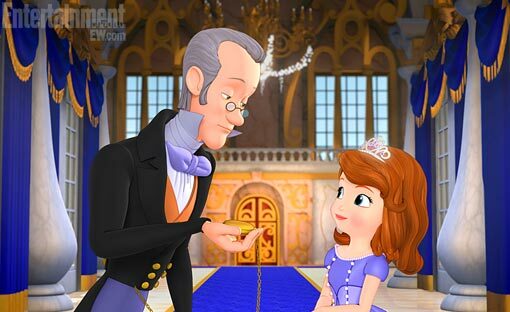 The voice of Tim Gunn (and apparently, his animated likeness) will be featured in the new "Sofia the First" movie and series on The Disney Channel. Click here for more information from EW.com. 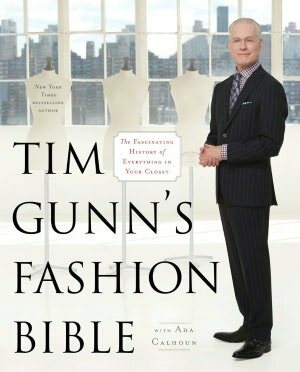 Tim Gunn visited the Mall of America last night signing copies of his "Fashion Bible." 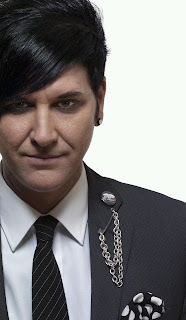 Click here for a fresh interview from CityPages. There is still time to vote in our Episode 9 Poll. Trivia: Debra also judged the finale of which season? The designers try to get a leg up in the competition when they visit Radio City Music Hall and create costumes for the legendary Rockettes. Debra Messing is the guest judge. And Toyouke spots Mondo's pants. Thanks again recappers - see you next week! Update: Don't miss Miz Shoes! 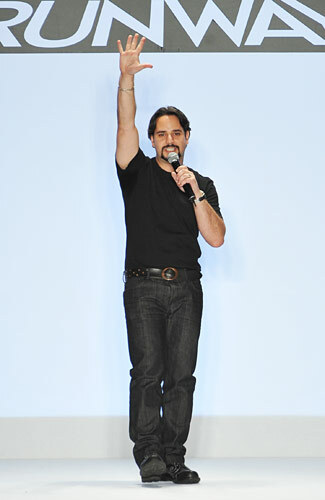 Project Runway Season 5 winner, Leanne Marshall presented a gorgeous Spring 2013 collection on Saturday, September 8th. The Scarlett and I loved her color palette of cream, green and lavender and when she told us she was inspired by cabbages, we loved it even more. Click here for LOTS more photos from the show. Click here for a review from ecouterre. 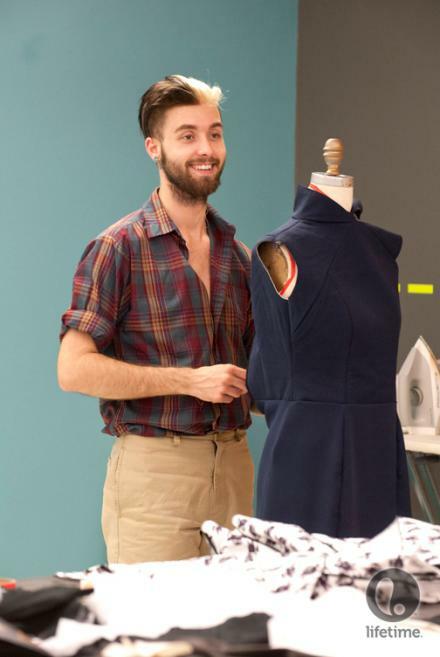 Don't forget to vote for Project Runway Season 5 designer Joe Faris. He's a Top 10 finalist in the Hatch Detroit Contest to win $50,000 and you can help him get that prize. One way to vote is to click here, register via your email address, and then vote on MOTOR CITY DESIGN - you can vote once per day. You can also vote via Facebook by clicking here, 'like' the Hatch Detroit page and vote on MOTOR CITY DESIGN; you can also vote once per day there. Help him win by voting and sharing this page on your own Facebook timeline. Make it work! 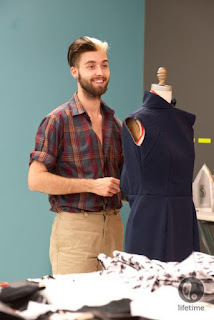 Project Runway Season 10 designer, Gunnar Deatherage talks about his experience on the show. BPR: Of course we have seen your collection, it was a complete surprise. Is there any specific connection to these tribal influences? GD: I met someone just before I left for the show, and I had no idea if he would even be waiting for me...but as it turned out, I came home and there he was. He was studying Australian culture and tribal culture and it was very easy for me to jump on board and just be inspired by the tribal vibe. I got a lot of comments about how unexpected this collection was from me. I mean it was probably the most surprising of any of our collections. That's what we are supposed to do as designers. If I would have created ten looks that you had already seen, but in different colors and textiles, it wouldn't have been fun for you guys to see, so the more that I branch out and propel myself forward, the more exciting it is to watch. BPR: Is this the same collection you would have made if you were a finalist? BPR: So you really took the opportunity to go out on a ledge. GD: They can't eliminate me and they can't beat me. If I was being judged, I might have played it more safe. It would not have been as interesting. The pressure was off. I am extremely proud of this collection. I mean I am 22 years old and I didn't go to fashion school and now I have shown at Mercedes Benz Fashion Week. Click here to see Gunnar's Fashion Week Collection. You've seen the designs on the runway and now it's your turn to be the judges. This week you are Heidi Klum, Nina Garcia, Michael Kors, Mondo Guerra, and Anya Ayoung Chee. It was a chance tonight for the eight remaining Project Runway designers to show off their graphic design skills. Some shined and others struggled. What did you think of the results? Post your reactions to Episode 9 here. Welcome everyone to the BPR play-by-play/party room! Just click on the comment link below this post to join the fun as we watch Episode 9 "It's All About Me". 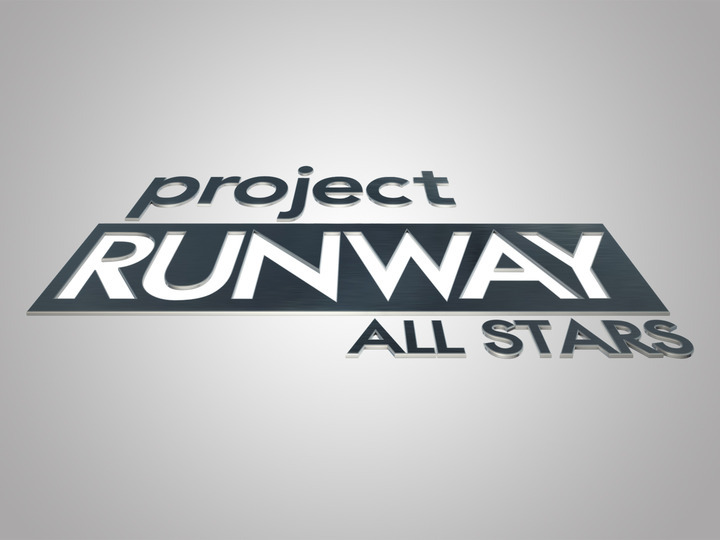 It's simply pure, snarky Project Runway fun. 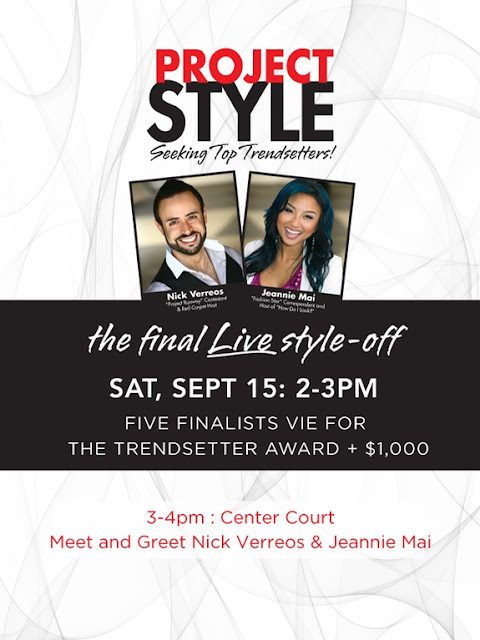 Project Runway's Nick Verreos will be hosting the "Project Style" finale on Saturday Sept. 15th at 2:00 at the South Bay Galleria in Redondo Beach, CA. 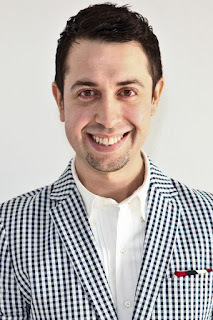 Project Runway Season 5 designer Joe Faris is a Top 10 finalist in the Hatch Detroit Contest to win $50,000 and you can help him get that prize. One way to vote is to click here, register via your email address, and then vote on MOTOR CITY DESIGN - you can vote once per day. You can also vote via Facebook by clicking here, 'like' the Hatch Detroit page and vote on MOTOR CITY DESIGN; you can also vote once per day there. Show Joe some BPR Love by helping him win. And for some extra love, consider sharing this on your own Facebook page while you're voting.